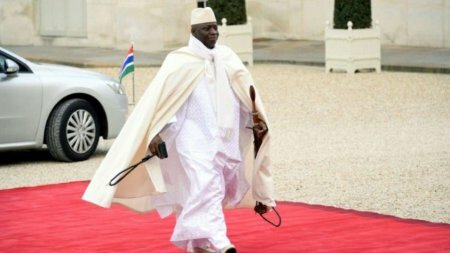 Tension, anxiety has enveloped the Islamic Republic of The Gambia over the whereabouts of the outgoing President, Yahya Jammeh. In a last-minute attempt by Mauritanian President, Mohamed Ould Abdel Aziz, to convince Jammeh to give up the presidency, failed on late Wedneday. There are indications he may have gone into hiding in a bid to escape being further persuaded into conceding defeat after he earlier devised a means of extending his stay, by declaring a 90-day State of Emergency with the backing of the Gambian parliament. Some foreign observers are of the opinion that the outgoing President, Yahya Jammeh may have stylishly exited the country with his close friend, the Mauritanian leader. President-elect, Adama Barrow on Thursday said the inauguration will hold at the Gambian embassy in Senegal while ECOWAS, the regional bloc, has swung into the tiny West African nation to use military force if necessary to remove the adamant Jammeh.